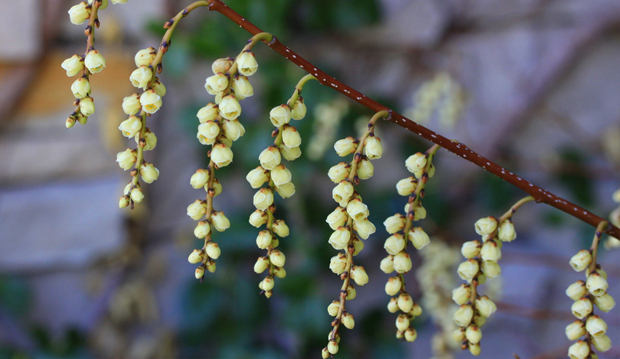 In addition to the beautiful magnolias that are just beginning to flower, we are very excited that spiketail (Stachyurus praecox), a seldom-seen shrub, is currently in full glorious bloom on the west side of the waterfall in the Westview Terrace. Many racemes of pale yellow-to-cream flowers dance in the breeze. 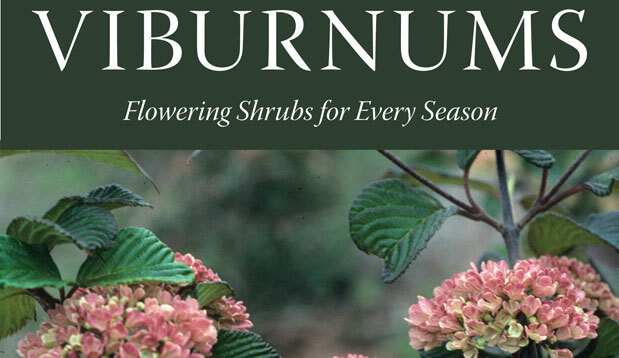 This multi-stemmed, vase-shaped shrub will reach a height and spread of about six to 10 feet. Native to Japan, it prefers slightly acidic, moist and humus-rich soil, and our specimen seems happy in its protected corner of the garden. Don’t miss out on seeing it! 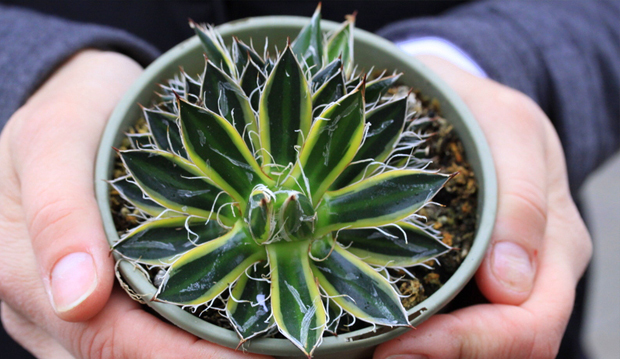 Speaking of missing out, our apologies to everyone who wanted to buy the Agave Queen of the White Thread (Agave schidigera ‘Shira-ito-no-ohi’) at our booth at this year’s Canada Blooms and were disappointed. It sold out very quickly, and no wonder. What a unique and beautiful succulent. I was just thrilled to add this plant to my personal agave collection. However, we are very pleased to have secured another limited supply for our upcoming Plant Sale, May 8 through 12th. So don’t be disappointed twice–shop early for the best selection!